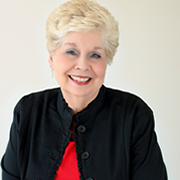 Linda Quesenberry is a native of Knoxville, Tennessee, and a graduate of the University of Tennessee. In 1993 the Lord brought her and her husband Dene back to east Tennessee where He called Linda to pro-life ministry. ​As a founder of Hope Resource Center in Knoxville, TN., she served as both a Client Services Director and Center Director until 2010. She has been a member of Heritage Fellowship since 2009, although her connection to the church goes back to the year 2000. She and her husband served as intercessors for many years and as a widow, she continues to serve in this capacity. Working as the receptionist gives her an opportunity to serve the church body and the staff. She loves her four children, four grandchildren and her Heritage family passionately.